Dallas is the 9th largest city in the U.S., hosts the world’s largest dome structure and largest urban arts district in the nation. Fort Worth is the 16th largest city in the U.S. and boasts a 35-block shopping and entertainment district. You could say Dallas/Fort Worth offer big choices in big city living. Everyone likes having big choices–even when choosing furniture. Our furniture rental collections are designed to give you the options you want and need to best fit your style and budget. Whether you need short-term* or long-term** furniture rental, we offer a wide variety of options to provide you with the basic comforts of home or a more personalized signature style. With our easy ordering process, we’ll supply you with everything you need to make your house or apartment feel like home: living, dining and bedroom sets, washer and dryer, TV, coffeepot and all the housewares. We provide everything but the kitchen sink; however, we have great resources to help you in that area, too! Our affordable rental options are designed exclusively for you. Choose a collection, place the order and you are set. 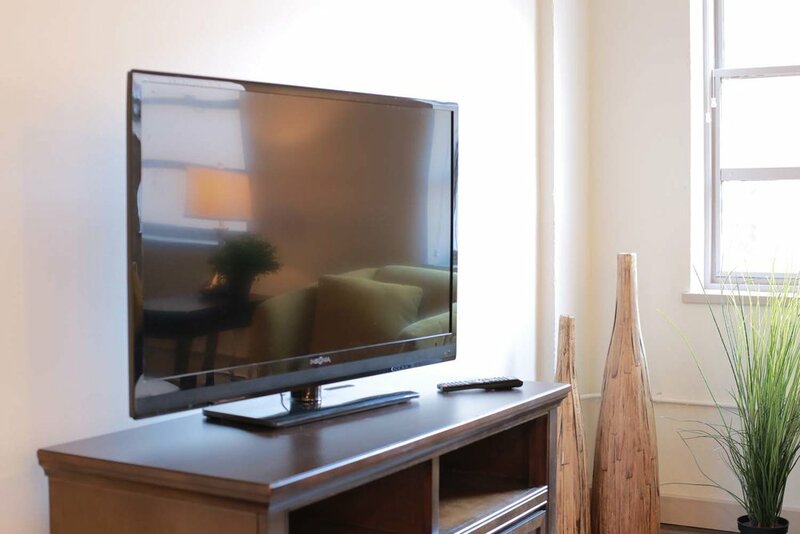 We’ll take care of the rest so you can enjoy big life in the big city.